The Eclipse DemoCamp will be sponsored by Fraunhofer FOKUS, itemis and the Eclipse Foundation. • The Fraunhofer Institute for Open Communication Systems FOKUS is researching and developing demand-oriented solutions for partners in industry, research and public administration. • Eclipse Foundation is a not-for-profit, member supported corporation that hosts the open-source Eclipse Projects. If you or your company would like to sponsor food and/or drinks, please get in touch with Max or Tom. If you would like to present please add your proposal to this section, or send a mail to max.bureck[at]fokus.fraunhofer.de. If you have a time constraint, feel free to add this information as well. Should we receive more submissions than we can fit into the schedule, we will select the ones that we think are most interesting to the audience. Microsoft has announced an open-source protocol  that one can use to add support for a new programming language to VS Code  by implementing a language server or by just installing an existing one into the tooling as an extension. VS Code is an IDE which is powered by the open-source Monaco Editor . The communication between the Monaco Editor and the language server is done through the JSON-based Language Server Protocol (LSP). One of the fundamental characteristics of the Monaco Editor is that it can run in a browser outside of its home. The LSP aims to change the game in tooling support. Most programming languages have been optimized for use with a single tool, which might limit the opportunities for language providers to reach a wider audience. The common protocol gives developers access to intelligence for many languages within their favorite tools. Developers can access language and tooling assistants including content proposal, live validation, syntax coloring, refactoring and much more within an IDE, a simple editor or even from a browser of their own choice. In this short demo, I would like to briefly talk about the LSP4J , which is a Java implementation of the protocol. Then speak of the Xtext implementation of the language server briefly and last, but not least, I would like to show a Xtext DSL in action from the Monaco Editor. Did you ever program an Arduino? Have you ever been worried about complex control flows written in pure C? Maybe you have already heard of statecharts and state machines? In this demo, I will show you how to program an Arduino in just 5 minutes in a model-driven way with the help of YAKINDU Statechart Tools (SCT). When a new developer joins a team he has to set up a bunch of software to be productive. Oomph helps when setting up an Eclipse based IDE environment and Docker helps to set up test services needed to run code against. This talk will show an IDE setup using Oomph and how to combine this with the Eclipse tools for Docker to get a dev and test environment for ModelBus set up in (almost) no time. The assessment of new automated and cooperative functions of conventional and electric vehicles is a challenging task. The multi-aspect simulation environment VSimRTI is a comprehensive framework that connects various simulation tools together to cover all aspects needed for a proper evaluation of new cooperative mobility applications and Advanced Driver Assistance Systems. In a little Demo we will show, how use cases in this field can be implemented with the VSimRTI simulation framework. Vert.x is a polyglot framework to write reactive server application for the JVM. This demo will introduce Vert.x and show a demo of Vert.x in action. Are you working on a rocket fast machine that could compute the answer to life the universe and everything within minutes, but still experience poor performance of Eclipse? You are not alone! There are several things that can be considered to improve the overall performance of your Eclipse workbench. Some might be obvious, others not, and none of them does help on its own alone. Key factors are hardware, the operating system, running processes, over to the JVM and its settings, installed Eclipse features, preferences and, of course, the projects that you are working with in your workspace. 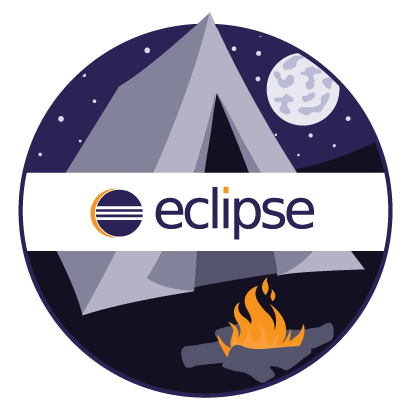 I will share in this session some tips that show how to boost the startup time, build times and overall experience when working with Eclipse. Simulating traffic becomes more and more important in the advent of autonomous driving. We present SUMO, an open source toolchain for creating simulations, which will soon be published and developed under the Eclipse Public License. We provide an introduction on how to get started and show case selected features. Please note that the start of the event was preponed do fit all proposed talks! There is no problem if you arrive later or leave earlier, but please do so quietly if you arrive during a talk. This page was last modified 10:11, 1 December 2016 by Max Bureck. Based on work by Mark Broerkens, Matthias K and Eclipse Webmaster and others.